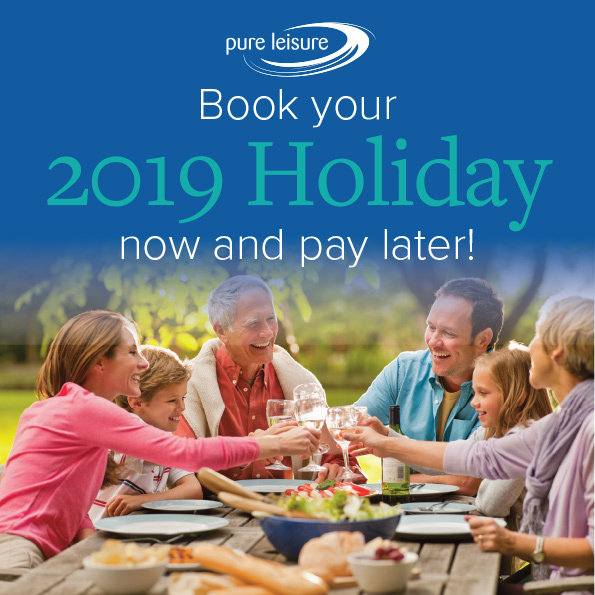 Book now, pay later option now available on Platinum and Gold accommodation types. The balance after your first payment will be split between the remaining months, with the full balance being due 60 days prior to your arrival. Terms and Conditions: Available for bookings 6 months or more prior to arrival. Available on weekly hire only for 5 – 14 nights. Payments will be split evenly across remaining months. Failure to complete all payments in the agreed payment plan will result in all monies paid being lost. Instalments will not be taken automatically, it is your responsibility to make sure all payments are made on time. Any missed payments will result in booking be cancelled and money will not be refunded. First instalment payable upon booking. Offer not available at Borwick Lakes, Yealands or Bowland Lakes Leisure Village.